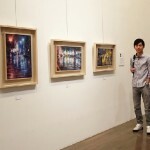 Born in 1987 in Taipei, the capital of the island of Taiwan, Ching-Che Lin is a young and talented Chinese artist. 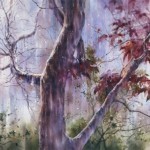 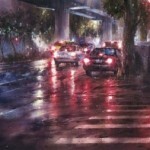 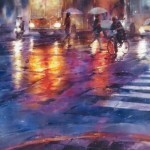 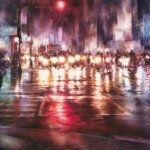 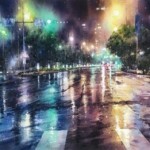 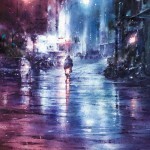 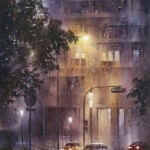 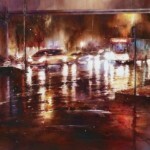 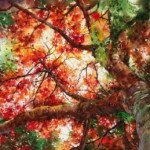 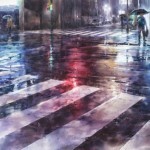 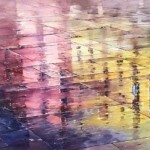 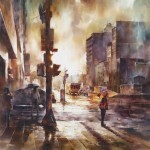 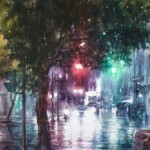 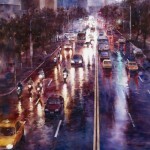 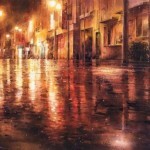 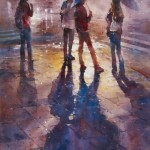 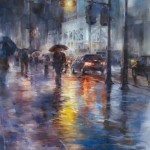 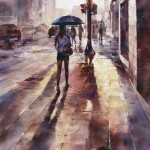 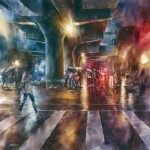 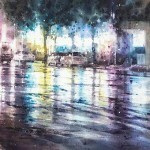 Ching-Che Lin has created a series of street water color paintings depicting rainy cityscapes. 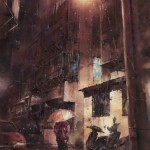 And of course, people walking under their umbrellas, and driving their cars through the misty streets. 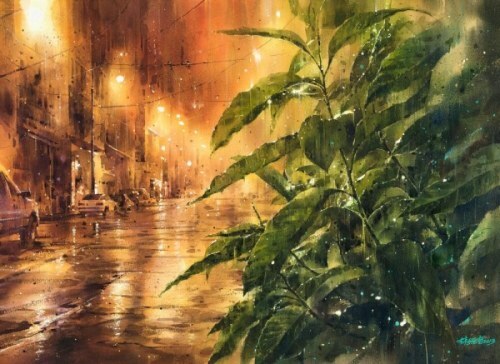 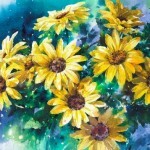 According to Lin Ching-Che rainy days inspire him with their breathing contrasts of pleasant melancholy and sadness, bright colors and incredible tranquility. 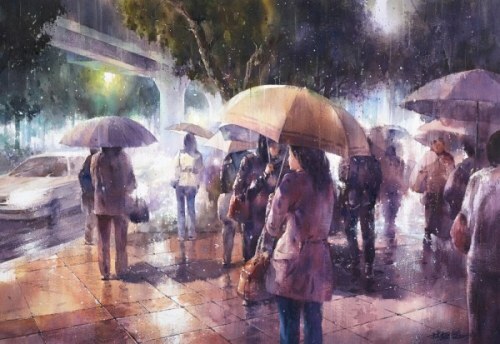 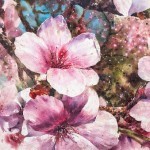 Talented 27-year-old artist Ching-Che Lin has received recognition as watercolorist worldwide, participating in solo exhibitions in his native country and abroad.